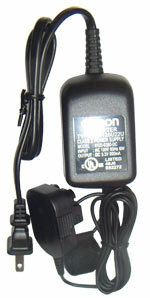 The Omron NE-U22V Nebulizer AC Adapter is made to be used with the Omron NE-U22V nebulizer system. I believe the title of this review pretty much sums up my review of this product. I find the adapter to be a huge energy saver as it reduces battery operation usage of the machine when I'm dormant as I highly rely on my batteries to operate efficiently for portability usage. Not only does three adapter saves my batteries energy for when it's needed the most, but the cord can be conveniently stored and carried in almost any bag size. I would suggest customers to adapt my method and procure a portable car socket that plugs into your vehicle's cigarette lighter and use your adapter during your commutes to further save and/cut down battery usage. I think about potential and uneventful situations where a batteries may drain or may be defaulted. 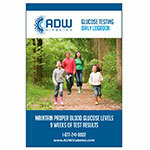 You DON'T want to have an exacerbation and your batteries fail you because you rely too. much on the convenience of the machine's portability. This is my 2 cents. I recommend purchasing this item and deem it a great investment at a fairly reasonable price in comparison to other vendors.